My sleep is often disturbed or chooses to avoid me. At those times when Morpheus deserts me, I turn to my iPod which stows a plethora of audiobooks. So, depending on my mood, I can invoke novels, autobiographies, anthologies of poems or simple podcasts to relax and soothe me. Most do calm me and, frequently, induce slumber. Some are now so familiar that I can recite the stories by heart. Following this path the other night, I realised that I am responding to storytelling and that this tool of literature has a great power. There is no doubt that storytelling soothes the hearts of our little ones. We have all known that experience of reading a story to a child at bedtime and felt their bodies soften and relax as the sound of our voices lulls them. Storytelling in class is a means of calming children as they engage with the story. Perhaps my iPod experiences are relics of this infantile experience. Many adults feel that storytelling is the domain of childhood. Having a story read to them would be tantamount to immaturity. Yet, is my use of audiobooks simply resonating something from my early years? Is my descent to nocturnal oblivion emulating the child’s response? Is that why audiobooks are popular with so many? By restricting our engagement with storytelling to childhood I feel we are depriving ourselves of something valuable. Listening to stories allows us to release our inner child. In my previous incarnation as an academic in higher education, storytelling was seen as a valuable tool for enhancing learning experiences. Of course, these would not be of the ‘Once upon a time’ genre, but were still storytelling in essence. There is something about presenting information in a ‘story’ way that impinges on our concentration and memory. Use of metaphor helps the listener to recall some complex facts in a more manageable way. So far, I have spoken about storytelling as we being the recipients of a story. The opposite of this, of course, is us relating our own stories. How often have you spoken to someone and found yourself saying, “You really should write a book”? There are so many untold stories out there that deserve to be shared. Sometimes I meet a man in our local park who spent most of his working life in the construction industry. His conversation embodies a litany of the construction of many buildings of distinction on our city. His anecdotes imbue a realism to a potentially mundane reflection of how a building is constructed. Similarly, our family had close links with a lady we knew as ‘auntie’, though she was not a blood relative. Her life story is one that I will relate one day. Her life followed a journey from infancy in the workhouse, ‘employment’ as a servant at aged 11, journeying to a convent in Belgium in her teens, being employed as a governess in France in her 20s, marrying a soldier who had aspirations to be a theatre impresario and becoming a mother. This is definitely a story to be told. Many authors of repute wrote short stories as well as novels. Many of these lend themselves to storytelling. During National Storytelling Week, track some of these down and share them with family and friends. Note your responses to the experience. Was it enjoyable? Annoying? Soothing? Uncomfortable? I believe you will be surprised by the experience. 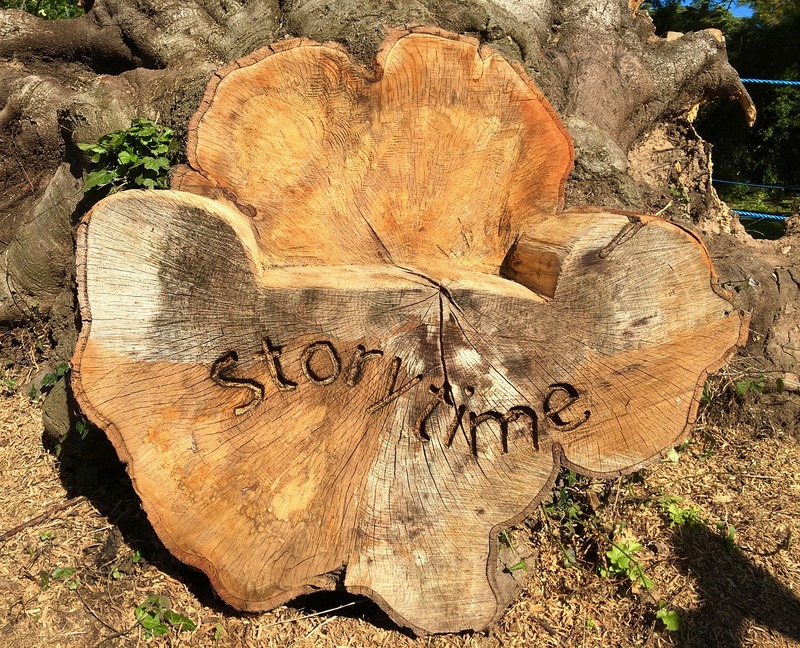 Happy National Storytelling Week, but why not make this your year for telling and listening to stories.